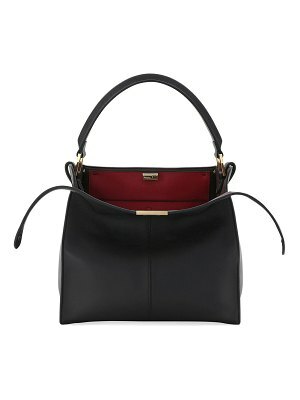 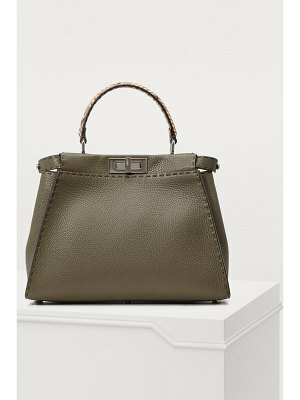 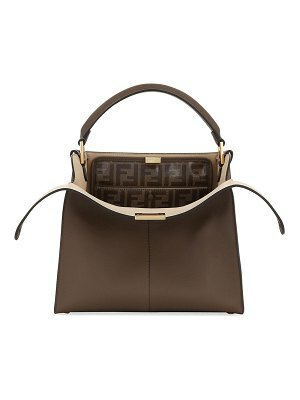 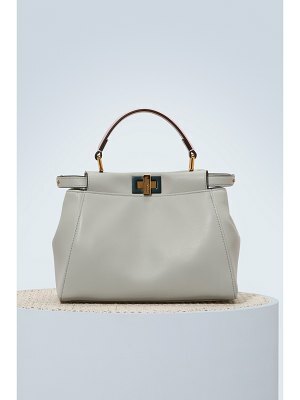 With this Peekaboo mini bag, Roman fashion house Fendi has designed a timeless piece with classic elegance. 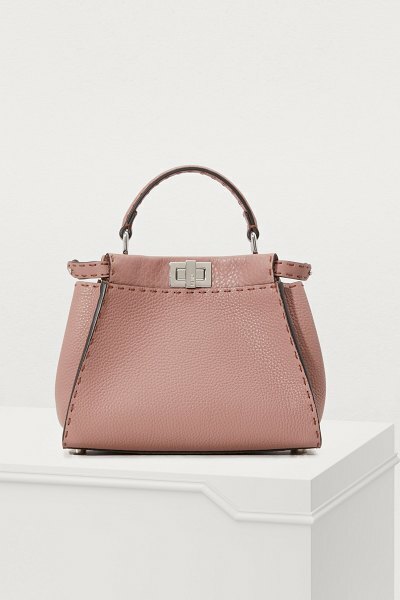 The pink leather lends a retro feminine touch to the bag's minimalist sophistication. 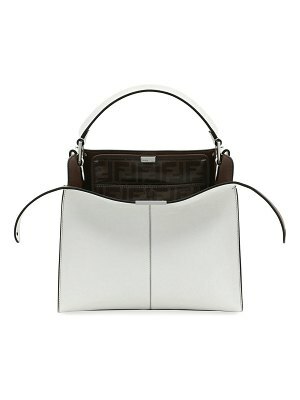 It features all of the emblematic details of this model, like the pivoting metal clasp and the hand stitching. 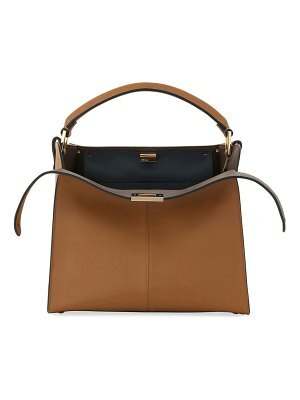 It can be carried by hand or worn over the shoulder, thanks to its simple handle and narrow shoulder strap.